LIKE all parents, even head chefs must contend with picky eaters and high-chair antics at home. How do they deal with the turned-up noses and pushed-away plates? Kate Gibbs writes. 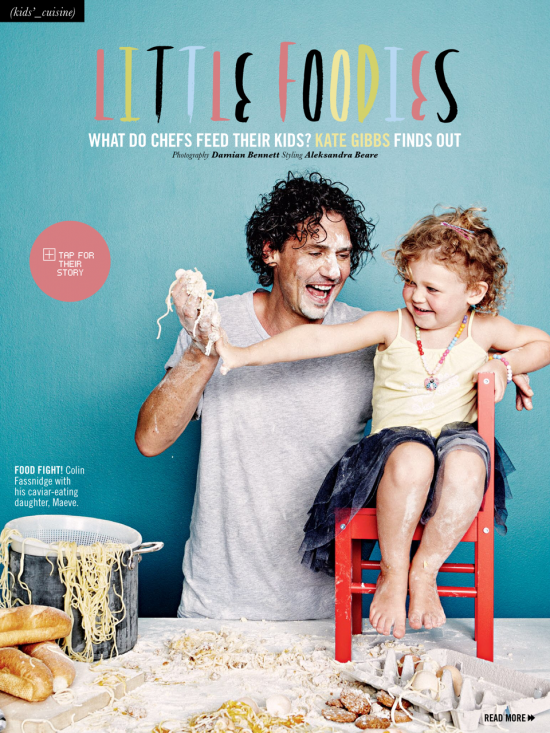 Four culinary whizzes, including chefs Colin Fassnidge, James Viles, Guillaume Brahimi and Hamish Ingham, reveal what happens at mealtimes… (it seems a few white lies and some bribery is involved). Read the full story, published in Sunday Style magazine in February 2015, here.